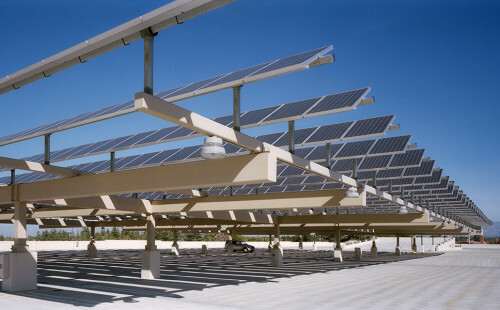 Sustainable parking solutions integrate environmental approaches to all aspects of the design, including scale and placement of the structure, transportation linkage, energy and water efficiency, as well as selection of construction materials and methods. IPD understands the nuances of establishing sustainability as an important and integral part of the parking structure design process. 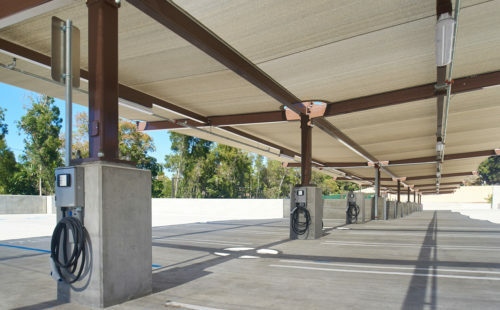 Prior to the USGBC removing parking structures from eligibility for LEED certification, IPD was Architect of Record for two of the relatively few LEED Certified parking structures in the United States. 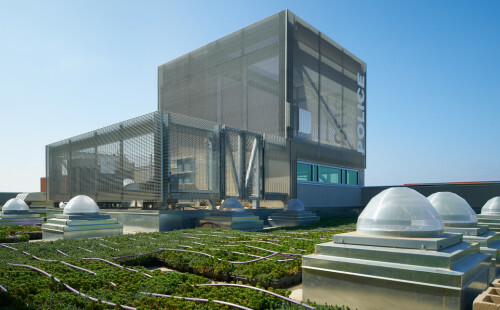 In addition to having experience with numerous “green” parking structures, IPD is a leader in applying the concepts of eco-friendly design to this specific building type. In addition, our structures have been utilized in beta testing during the development of the newly created Green Garage Certification Program. 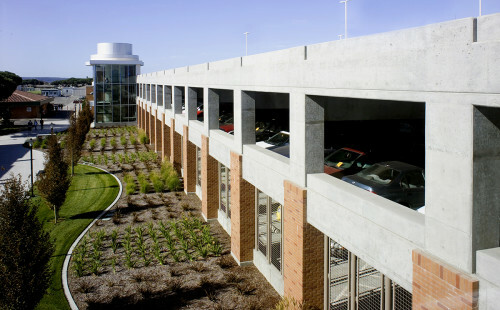 IPD has worked with many municipal and public agencies to design and build parking structures that integrate and support sustainable urbanism.